Happy Labor Day! August has come and go, and we're now on to September. It's crazy how summer just went by like a blink of an eye. 1. Neutrogena Rapid Clear Stubborn Acne Daily Leave-On Mask* - My acne arsenal when my pimples are being in fact, stubborn. Although it's marketed as a mask, I like to use this more as a spot treatment on my troubled areas. Unlike most masks, this is great for either night or daytime use. I like to apply this at night as part of my nighttime skincare routine when I have pimples popping up on my face. After I put on my moisturizer, I apply this on last on my troubled areas, and then go to sleep. I could see a noticeable difference in the size of my pimple the next day, or sometimes it's almost gone. If a pimple is being a little bit stubborn, then I like to apply this also in the daytime under my makeup. What I like about this is that it doesn't get flakey or make my skin peel even if I'm wearing it underneath. Some acne products tend to dry out my face, but this doesn't... which is why this has been a staple in my skincare regimen. 2. L'Oreal Revitalift Bright Reveal Brightening Peel Pads* - I had some doubts about these pads when I first received them. Would these really brighten up my skin? Within a few times of using these at night, I noticed a difference in the clarity of my skin as it helped brighten it up. I like the convenience of just taking a pre-soaked pad out and then rubbing it in your face. I also noticed that helped with some of the hyper-pigmentation in my face from previous acne scarring. 3. 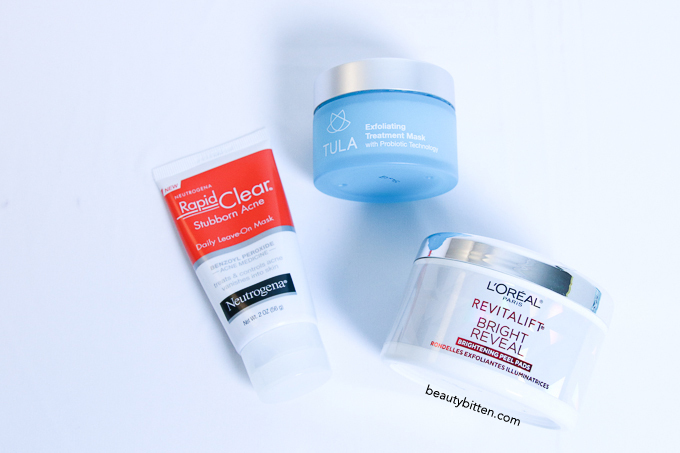 TULA Exfoliating Treatment Mask* - There a few masks that I have on rotation, but this has been one of the masks that I've been reaching out for more often than not. I love the relaxing feeling of applying this on to my face and the light, fresh smell of it that it really puts you in tranquil state of mind. This mask has helped decongest my pores and even-out my skin tone. I usually leave this on for 5-10 minutes (or however long until I wash the mask off my face if I'm multi-tasking). And since the mask contains fine beads, I take some time to gently rub the mask on to my face to exfoliate the dead skin. I like how the beads are gritty enough to do the job while being gentle on my skin. It's also a bonus that the beads are biodegradable and environmentally friendly! 4. CLEAN Warm Cotton Breeze Body Splash* - This has been my summer scent this year. Everyone loves the smell of clean laundry (I mean really, who doesn't?). I've always loved when my clothes comes out fresh from the dryer. Now I've found the scent as a body splash that I can wear anytime. I love how light the scent is, and even though this is not a perfume, it lasts a pretty long while for a body splash. 5. Sephora Solid Brush Cleaner - One of the things I dread the most is probably washing my makeup brushes. I just find this chore very tedious even though having clean brushes also has everything to do with having great skin. I recently picked up this brush cleaner, and it has changed my life. My brushes smell great and the bristles are so much softer (thanks to the soap being infused with Moroccan Argan oil). Even though I still dislike cleaning my brushes, this brush cleaner makes it easier for me to get the gunk off my makeup brushes. It just melts it all off away leaving me with clean and soft makeup brushes. I also like how this one comes with a little scrubbing pad where you can really deep clean your brushes to really get the gunk off. Great for travel! 6. Benefit Cosmetics Browvo! Conditioning Primer* - When Benefit Cosmetics first revealed their new brow collection, their brow primer became my instant favorite. Aside from it being something new and innovative, I like how there's a conditioning primer that's nicely packaged and easy to use. If we prime our face and eyelids, why not our eyebrows? I've been using the conditioning primer on a regular and have noticed that hair has been growing in parts of my eyebrows that needed some help. I like to either apply it before I do my brows or right before bed to promote hair growth in my bald spots. I could use all the help I need in the brow department (thank you teenage me for over-plucking my eyebrows). 7. Benefit Cosmetics Goof Proof Brow Pencil* - Aside for the cute packaging of their entire brow line, their Goof Proof brow pencil has made it much easier for me to fill-in my brows on the daily. 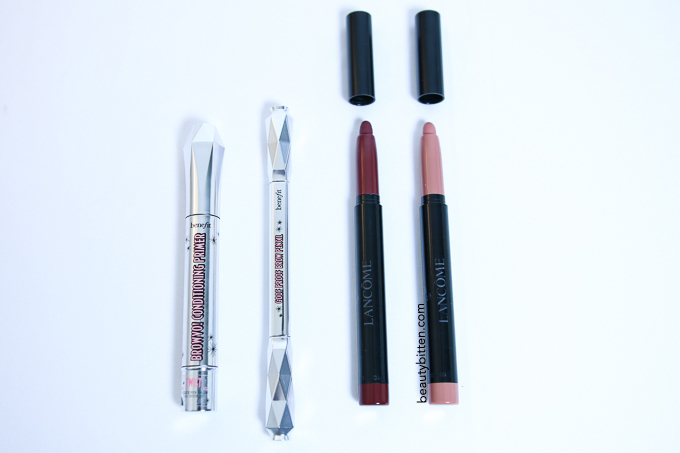 The pencil just easily glides on my brows and helps fill in the sparse areas without looking patchy. No one would think that I was an over-plucker. I love how it gives me natural looking brows with minimal effort. 8. Lancome Color Design Matte Lip Crayon* in "Berry Haute" and "Lipstick Avenue" - These have been the two lip colors I've been stashing in my bag lately. I'm still on the matte lipstick wagon, but sometimes I find that liquid lipsticks can be a tad bit messy for me, especially if I'm applying it in a moving vehicle. Basically, I would need a steady hand to make sure that I've applied my lip color neatly. Hence, why I've grown to like these lip crayons a lately. I can easily slap it on my lips and not worry about getting it on my skin or teeth. I also love how these are very creamy and moisturizing on my lips. They're so moisturizing that sometimes I even use them as a lip balm when my lips are dry. 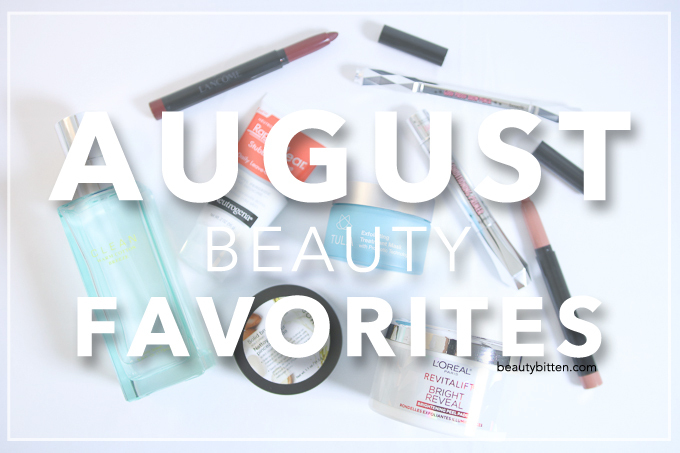 So that's it for my August Beauty Favorites! 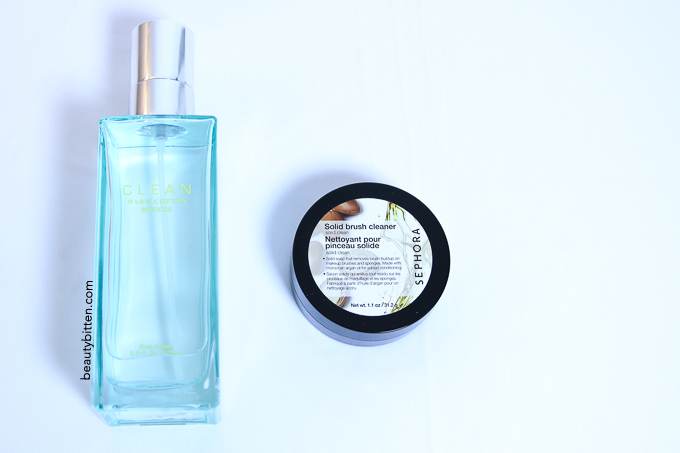 What are your current beauty favorites? Please share them on the comments down below. Also, please don't forget to check out my Youtube channel for more beauty, fashion, and lifestyle videos, and subscribe if you haven't yet.